This year’s space apps challenge theme is Earth and Space with 6 categories and 20 challenges. 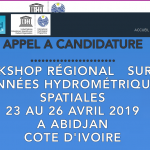 This event was scheduled for 19-21 October 2018 for all space apps challenge locations all around the world. 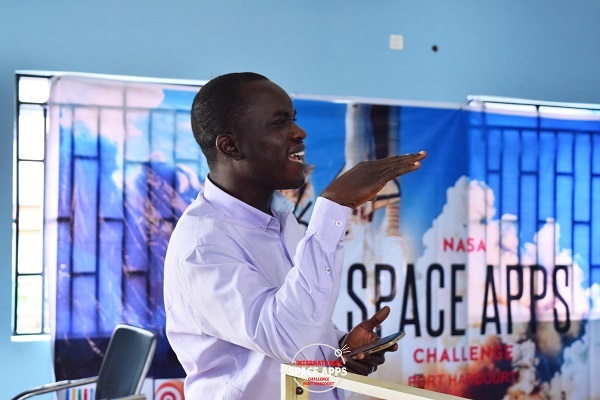 As the 2nd edition of the Space Apps Challenge in Port Harcourt, It was held at Primed Soft hub, Rumudara Port Harcourt, Rivers state, Nigeria. It started with a Data Bootcamp on the 19th then the hackathon started officially on 20th and ended on the 21st. This event was organized by the local organizing team in Port Harcourt; Godfrey Ayaosi Oshoke, Micah Gbeke, Beauty Martins, Chioma Ahamefule, Steven Oladele and Promise Johnbull lead by Tamunotonye Harry. The data Bootcamp on the 19th was aimed at helping participants and newbies to data science understand how data can be used to solve problems. This was handled by School of AI, Port Harcourt; a community of data scientist and enthusiasts. The Hackathon started on the 20th with 3 teams tackling different challenges posed by NASA’s scientists and came up with interesting solutions. Team SIBA made up of 9 members came up with a project called SOS Relief that helps detect an earthquake before it happens and this was the winning project which got the Local People’s Choice Award. This project was nominated (Global Nominee) by the local team to compete with other projects all around the world. We had two mentors, Ibiam Chihurumnaya who is a developer at Sugar Labs and ThankGod Okorisha Curator, World Economic Forum Global Shapers Community Port Harcourt and works in Communications department at Stakeholder Democracy Network (SDN). 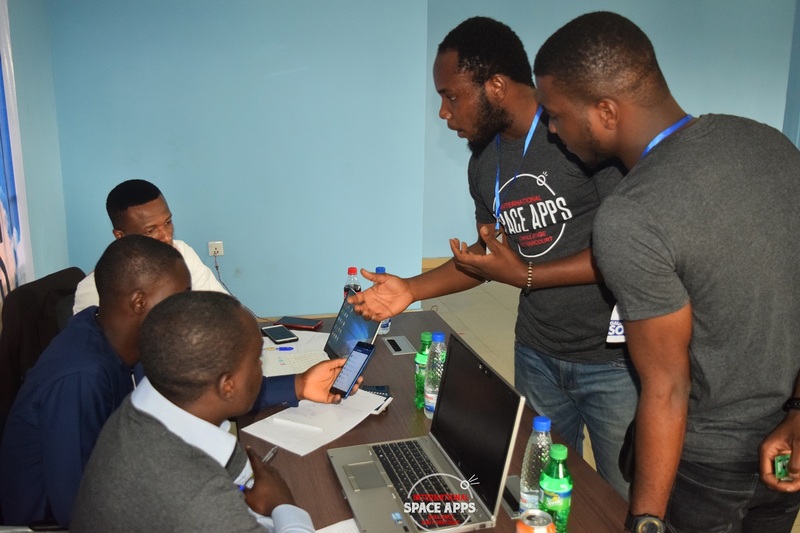 Judges for this year’s space apps challenge in Port Harcourt were Muyiwa Awobajo a STEM instructure, Mustapha Agbadi, Space Lawyer and ThankGod Okorisha. This year, NASA is focusing on collaboration than competition so all participants who participated in the hackathon got freebies from organizations like Google, Microsoft, Neustar, Amazon Web Serves, IBM etc. This event was sponsored by Ken Saro-Wiwa Innovation Hub, Icon Mobile, Primed Soft Hub, and King of Hearts Foundation with Media Partners; BBC Pidgin and Nigeria Info Port Harcourt. Providing solutions to problems that affect mankind is important as people who take part in hackathons like this, have a sense of responsibility to the planet they would love to see in future. 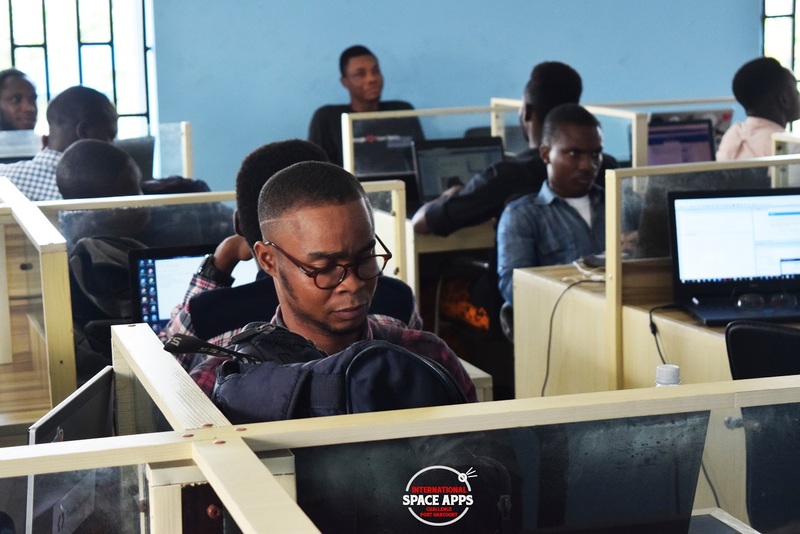 With Port Harcourt a growing tech space, hackathons like this will bring more voices to the table and create solutions to problems that affect the populace and the world at large.